Liverpool striker Luis Suárez has revealed that he will be seeking an exit from Anfield in the summer, amid his perception of treatment from the British media. The Uruguayan finished as Liverpool's top scorer with 30 goals this season, but his campaign ended in disgrace after he was given a 10-match ban by the FA for biting Chelsea defender Branislav Ivanović. 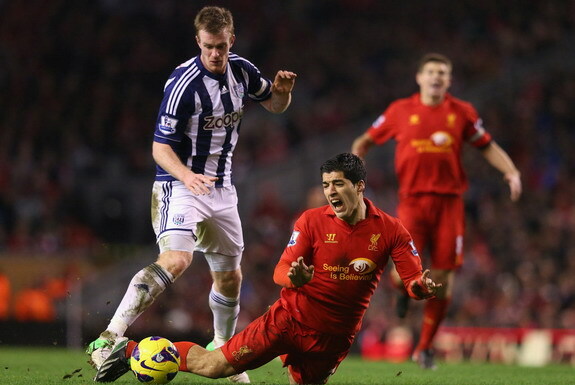 Suárez claimed the media hysteria created by the incident had forced him to reconsider his future. Speaking at a press conference in his homeland, he said: "It's a good moment for a change of environment because of all I've been through in England. "I had a hard time, very hard, and the things that have been said are lies. One has limits and the family also suffers. "It's nothing against Liverpool, on the contrary, I feel very comfortable at the club but I have a daughter and I do not want her to hear bad things about her father. "Being persecuted by the paparazzi all the time. I couldn't go to my garden or the supermarket, I couldn't do anything. I know it's normal being followed by the press but it was too much." Despite regular match-winning performances, Suárez has been a steady source of controversy ever since joining Liverpool from Ajax Amsterdam in 2011. In the last two years, the 26-year-old striker has been found guility of racism and biting while openly admitting to diving. Suárez added: "All the silly things they said about me, all the pictures, all the taunts. That happened every day and nobody supported me. "They talk about me being named as the best player in England, but I knew it wasn't going to happen because of the way they treated me." Real Madrid have been linked with a £40 million move for the controversial forward with Atlético Madrid and Bayern Munich are also believed to be interested. "I do not know when I'm going and I do not know if I'm staying," said Suárez. "If I stay it is because it is a great club but also in turn I know that it is difficult because of the harassment I get from the press." Meanwhile, Liverpool have responded with a brief statement released on Friday. "Luis Suárez is not for sale - neither Luis or his representatives have communicated these feelings directly to LFC," said the statement. 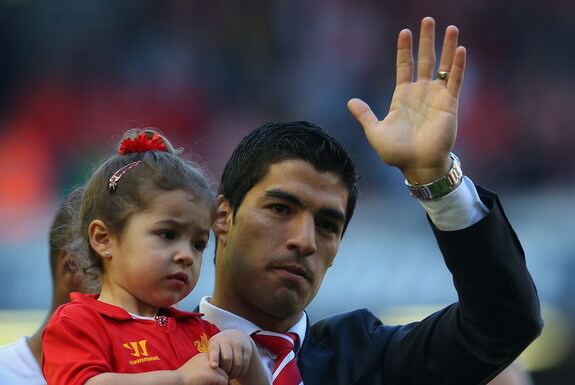 "The club remains supportive of Luis and expect him to honour his contract. We will not be making any further comment at this stage." And here is a bonus video about "How to play like Luis Suárez". SIGN UP WITH BET365 FOR FREE BETS UP TO £200! Luis Suárez - Hero or villain?